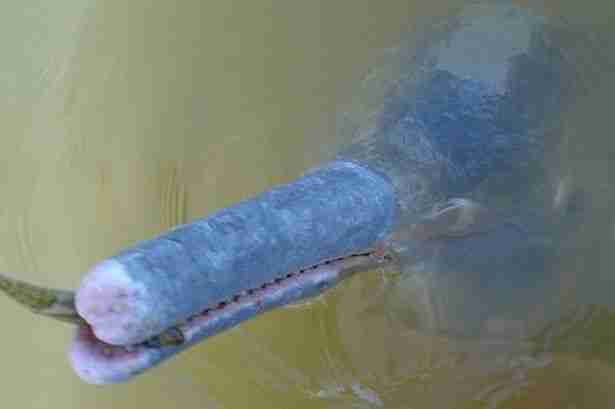 Researchers in Brazil have have announced the discovery of a new species of river dolphin -- the first of its kind to be described in nearly a century. A small population of these freshwater mammals, named Araguaian river dolphins after the river in which they were found, are similar in appearance to the closely-related Amazon river variety (pictured above). Researchers say that the dolphins likely evolved into a "distinct biological group" over 2.08 million years of genetic isolation after a narrow canal linking to the Araguaia to the Amazon river became impassable by major rapids. "It was something that was very unexpected, it is an area where people see them all the time, they are a large mammal, the thing is nobody really looked. It is very exciting," says researcher Thomas Hrbek. The findings, confirmed through DNA analysis described in a study published in the journal Plos One, make Araguaian river dolphins only the fifth distinct species of river dolphins known to exist. Unfortunately, like three of the other river dolphin species listed as "threatened", Araguaian river dolphins are also imperiled, with as few as 600 individuals remaining. "Since the 1960's the Araguaia River basin has been experiencing significant anthropogenic pressure via agricultural and ranching activities, and the construction of hydroelectric dams, all of which have had negative effects on many biotic and abiotic aspects of the functioning of the Araguaia River ecosystem," reads the study. 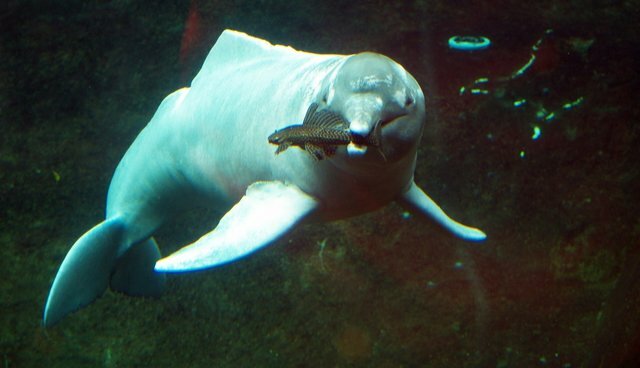 Prior to this discovery, the most recent river dolphin to be described were Chinese baiji, in 1918. That species was declared "functionally extinct" in 2006.